A lofty rain shower fixture, paired with thermostatic hand spray, promises a spa-worthy experience. 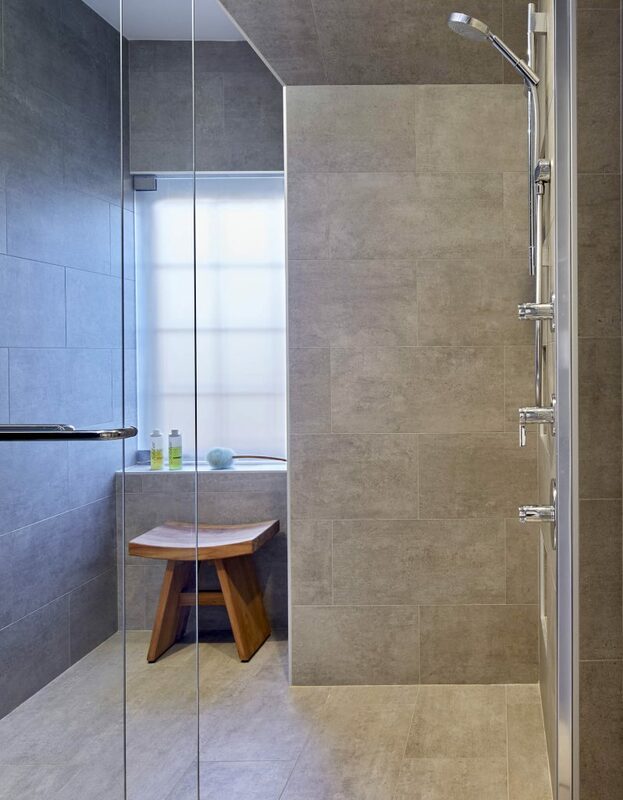 Sliding glass doors comfortably conserve space, while a hinged internal shower door lets in natural light while discretely protecting the historic wooden window behind. Precise linear drainage leads water away, enhancing the cohesive, clean look. The final product: a peaceful, yet orderly respite for our clients to savor for many years to come. Large-format porcelain tile envelops the entire powder room, upping its neutral, organic appeal. 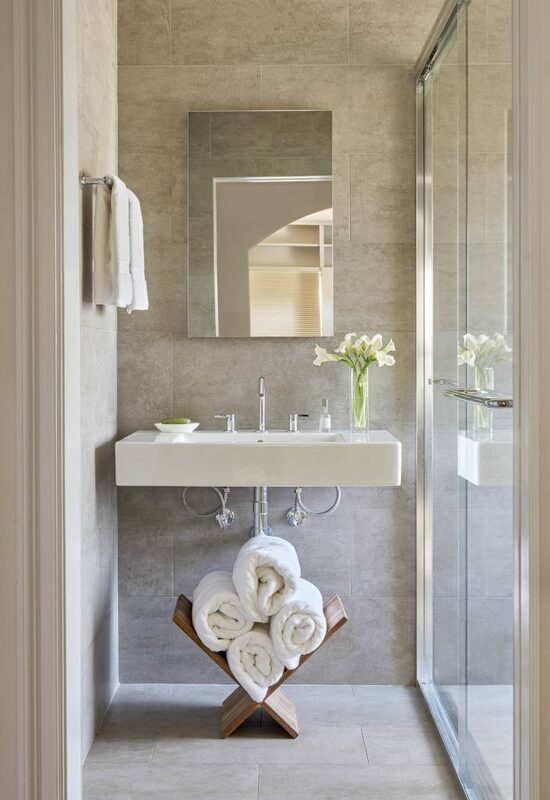 A simple mirrored medicine cabinet hangs above the slender, floating basin creating a minimal, yet sophisticated look, while a modest bamboo towel holder beneath provides a simple storage solution.